‘Football’, unintentionally, seems to be a reoccurring theme in our house this week. I have been focusing on networking recently which led me to a fantastic breakfast club event at Chorley FC. I have met some really interesting people, and the keynote speaker (James Cole from Cruise118.co.uk) was truly inspiring. I am still getting over the shock of how much I am enjoying this part of my work, although as I will happily talk to anyone about anything, so it really shouldn’t be a surprise. I have also been pondering how much informal networking we do in our spare time as we socialise, and this is making me question whether we do properly ‘switch off’ from work. This train of thought started at a BBQ that we held this weekend. You know the score; a few friends and their little people, sunshine, a paddling pool, ice lollies, a certain quarter final match on the TV, the quashing of any primal notions of which gender is better at cooking on an open flame, etc. etc. I was in the kitchen slicing up the brioche burger buns (eye roll over the ‘brioche’ part of that sentence but they were all that was left when I got to the supermarket) and a friends husband commented on the antibacterial spray I had out on the counter. He said that he had always wondered about the brand of cleaning products I used in my house ‘being a cleaning expert’. Before long we were chatting away about the myth that eco-friendly/no bleach content means inferior cleaning power – and yes, it really is just a myth as we get fabulous results with our eco-friendly products! Later on, when my best friend turned up, our conversation covered my blog sharing on ‘Linkedin’ and someone else arrived with a leaflet booklet that had come through their letterbox. 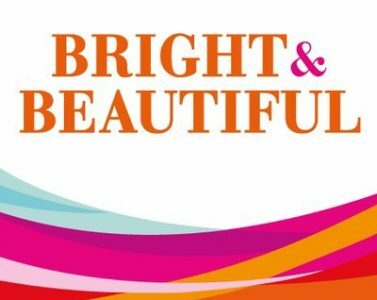 They were very excited to show me as they thought it might be a useful marketing tool for Bright & Beautiful. After a little bit more research, our Housekeeping team admit to having friends that use them as a ‘cleaning encyclopaedia and they often get asked advice about which products really do get crayons off walls and how to remove some interesting stains. Indeed, I have even been asked how to remove emulsion from a family pet, amongst other things. Did you know that the ability to cook on a BBQ is not gender specific! And the clean up is definitely a job best undertaken soon after the event, not when you remove the BBQ six months later from storage. Here are our favourite tips for keeping your BBQ looking ‘champion’. 1. Heat the BBQ up slightly as the grease will be easier to remove if warm and less solid, but obviously be very careful of touching any hot areas. 2. If it is really bad, Fabric Conditioner will soak off the worst grease! Put the removable pieces of the grill in a plastic ‘under-bed’ storage box or similar and leave them to soak in Fabric Conditioner. 3. Always keep raw meat on one side of the BBQ and cooked food on the other to avoid cross contamination. We like Astonish ‘Germ Clear’ spray which can be used to sanitise food prep areas,especially those that have had raw meat near them. Use separate cloths too for each area. 4. Invest in some melamine plates and cups. This will help you to be environmentally responsible as well as saving money on disposable alternatives, and there are no safety worries about smashing your regular plates and glasses on the patio if dropped. If you fancy enlisting a world class team of housekeepers to help you with your pre-party clean up or to tackle your BBQ left over cleaning needs, just drop us a line on our online contact form. There are no penalties here – we will free up your free time so you can enjoy the match.